The mavens and savants are struggling with lots of economic numbers coming in that do not conform to popular wisdom. We have a very tight labor market right now, but the wage increases are merely bubbling up at a 2% per year pace. I have to admit this number does surprise me because Amazon just raised everybody at least a buck an hour, and the minimum wage law, which used to be an issue for the angry liberals, is now a forgotten artifact in a competitive economy. People in the food-serving business do have to pay more or they will have nobody to flip the burgers, but in the industrial economy I have been surprised that the wage push appears to be subdued. People are just getting by with fewer people than they used to, because hiring is so difficult. A lot of people who are joining the production workforce are fresh faces at lower wages than the retirees who are exiting. Investment by middle-sized business is softer than one would expect with 3-4% GDP growth in the economy. Bigger companies, particularly a lot of foreign firms, are investing major money in factories, equipment and training but not small and mid-sized firms. For independent business people the scars of 2008-2009 are still palpable. I think many older business folks are still in a “recovery” state and very cautious about acquiring debt to expand. Also, the tax law favors Type “C” corporations over “S” corporations which are common for small businesses. Big companies, whose managers are mandated to grow their companies without having to spend their own cash, are putting up new factories and buying others. Small and midsize firms find it harder to borrow and are inclined toward conservatism. For those wanting to sell out, they need to build “EBITDA” to command a decent price, and often the willing buyers are private equity firms that want to milk the acquisitions to quickly pay down debt then flip them to the next willing group. 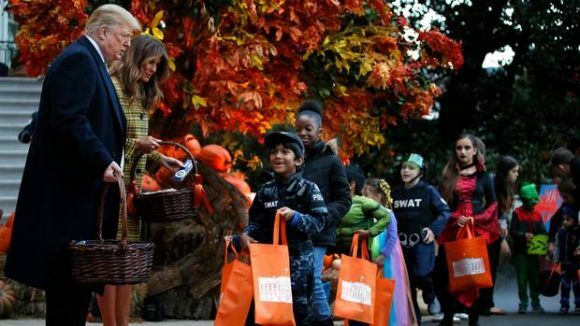 Donald and Melania Giving Candy to Trick-or-Treaters at the White House. The stock market is sliding down. This should not be terribly baffling after nine years of buoyancy. When the Dow was over 26,000 I found myself checking my retirement account every day. For me this was a sure sign that we were headed for a plunge. Looking at it coldly, the Fed has been whacking the market incessantly with rate raises. The short-term rates go directly at my lending line, making me wince quarterly. Interestingly, the 10-year bond which dictates mortgage rates has been relatively kind to us because zillions have poured into that bond from around the world. Nevertheless, mortgage rates have moved up faster than the 10-year has, and the new and used home markets are sluggish. I think that many people, correctly or not, view the home market to be out of reach for what they want and expect. One significant reason for this is the choice by many owners to rent their homes by the day, the month or the year because CD rates are paltry and demand for rental housing is robust. The amount of owner-occupied housing is falling in America, a phenomenon few predicted 5 or 10 years ago. We are in a period when automotive is stagnant, housing is mediocre, rates are rising, wage growth is modest, stocks are falling, yet small business confidence is at record levels and much of the Press says America is a mess. Pretty weird. I’ll take another shot at explaining what is going on. The U.S. economy is running on borrowed money. The tax cut made for bigger deficits, but the happy fact is that all the borrowing is well within our means – if the economy keeps growing and folks are confident. The big jump in military spending has given us more extra juice. Will the glee over defense splurging go on forever? Doubtful, but for now it is a plus. Business owners, especially small business owners, like Donald Trump, tax cuts and lighter regulation. The New York Times and CNN hate this fact, but it is true for now. I think the stock market drop is a hedge by Wall Street against a Democratic victory in the midterms. If the Republicans get to 55-45 in the Senate I think we’ll quickly see stocks jump 5-10%. If you’ve read this far you have absorbed 600 words of Lloyd Graff’s opinions. Do you agree? Are you confident or pessimistic? Are you making more money and saving it or buying a new F-150? Have the higher interest rates soured you or do you ignore them? Sock it to me. Question: Is your confidence in the U.S. economy rising or falling? Scroll down to listen to the podcast with Bill Cox. In today’s podcast we interviewed Bill Cox, owner of Cox Manufacturing in San Antonio, Texas, a job shop that makes parts for a variety of industries—oil and energy, medical, and defense to name a few. Bill’s father started the company in 1956 but died when Bill was age 12. The evening of his father’s funeral a customer had the audacity to ask Bill’s mother if he could buy the company. She asked Bill that night if he was interested in going into the family business and Bill said he was. From that day forward Bill’s mom, a sharp business woman in her own right, taught him the management side of running the company, while the guys in the shop developed his technical skills. By his 20s Bill was taking the helm at Cox Manufacturing. We at Graff-Pinkert have had the pleasure of dealing with Bill for decades, on both the buying and selling side of the equipment trade. He continues to impress us with his business savvy and grasp of the trends in the machining business. Question: Are current wage levels too low to attract good enough good people for machine shops? The World Series between the Boston Red Sox and Los Angeles Dodgers starts tonight in Beantown. I’ll probably watch, but I may listen to a podcast or write or play Words with Friends. But if the Chicago Cubs were in it this year I would be watching with rapt attention and texting my son-in-law, Scott, and Noah. I’d be living and dying with the team I love so much. I don’t know the players personally. 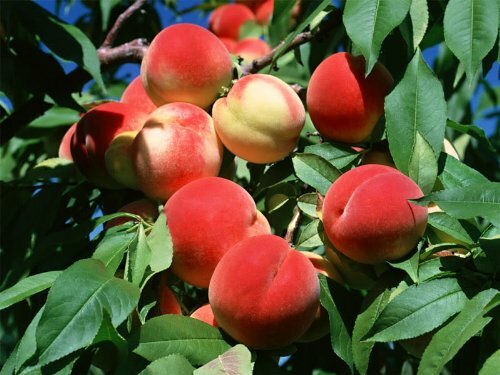 They change every season and often a lot during the season. Many of them are from the Dominican or Puerto Rico and barely speak my language. I doubt I could have a meaningful conversation with most of these young kids who have devoted their lives to refining their swings or their sliders. Yet I spend hundreds of hours a year obsessed with how many games they win, their on-base percentages, and the spin rate of their breaking pitches. My daughter, Sarah, is a Rabbi in Palo Alto, and every year in her most important sermon she talks about the Cubs at some point. It has become a trademark for her, a part of her brand, and I know I am partly responsible for her mixing Cubs and religion. For me and her, the Cubs rooting is akin to a religious experience. The Cubs are certainly secular and do not rely on a higher power, but the importance of ritual imbues both baseball and religion with a habit-forming routine. The routine and the history of both, ties families together and gives them endless topics of discussion and argument. Both invite converts yet do not accept them readily. A White Sox fan who claims he or she has embraced the Cubbies is regarded as untrue to his own faith and cannot easily be accepted as a “real” Cub fan. I sometimes wonder how I became such an ardent Cub fan. My father did not grow up with baseball. His parents were immigrants from Eastern Europe. Sports were irrelevant to them. But my mother, Thais Kassel, grew up within walking distance of Wrigley Field. Her father, Sam, loved the game and especially the Cubs. Sam Kassel’s mother owned a little grocery store, and Cubs players used to buy their booze there. My grandfather actually met Tinker, Evers and Chance of double-play fame in 1908 at her corner grocery. Some of my earliest memories are of mother and grandfather, and talking about Jackie Robinson and Ernie Banks with them. I remember going to a Cubs-Dodgers game. 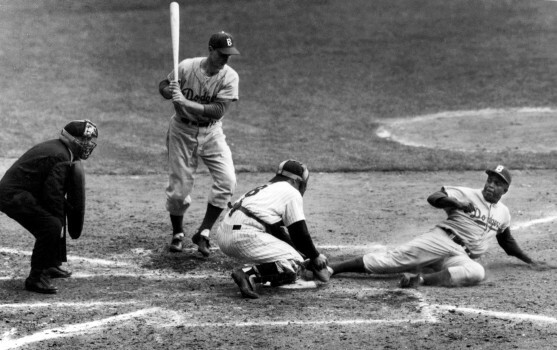 The Cubs were terrible, but I saw Robinson, Roy Campanella, and Duke Snider play, and Jackie Robinson stole home. I don’t remember much about my 0-10 years other than baseball, either talking about it or playing it. My mom took me to a few Ladies’ Day games. Twenty-five cents to get into the Park. Baseball bound my mother and I together until she died in 1990. But there’s more to my love of the Game than family and tradition. The nuances, the subtleties, the strategy fascinates me. In the recent National League Championship Series Craig Counsell, the Milwaukee Brewers’ manager, used an unorthodox approach with his pitchers. In one game he started his left-handed pitcher Wade Miley and then pulled him after one batter to try to fake out the Dodgers’ manager, Dave Roberts, on lineup matchups. The Brewers lost the game. In the seventh, and deciding, game he used his most-potent weapon, pitcher Josh Hader, in the third through fifth innings thus losing him for the decisive final part of the game. The Brewers lost the game. Counsell was trying to finesse his lack of starting pitching, yet he had his best starter, Jhoulys Chacin, starting that game. People will argue about his strategy for years. It’s one of the beautiful things about the game. I’ll be reading Cubs blogs all winter. Scrutinizing trades. Hoping the pitchers’ sore arms heal. God willing, 2019 will be our year again to celebrate. Question: Do you still love baseball, or do you see it as yesterday’s game? Scroll down to listen to the podcast with George Breiwa. About two months ago I got a call from a company asking for a price on a Traub TNL18 on our Graff-Pinkert Website. For those unfamiliar, Traub makes arguably the heaviest, most expensive and advanced CNC Swiss machines on the market—the “the Hummer of CNC Swiss” one could say. I asked the caller what his application was, thinking it was a medical part to justify such an expensive machine, but the caller told me it was for making a unique vaporizer that had no moving parts and no battery. George Breiwa started his company DynaVap to produce a mechanism called a VapCap that gives smokers of tobacco and other substances (one legalized this week in Canada) an alternative to smoking. People have built vaporizers for a long time, but what makes DynaVap’s VapCap unique is that while other Vaporizers require a power source usually from batteries or a wall socket the VapCap operates using heat from an external source such as a lighter or candle. In the interview Breiwa discusses DynaVap’s evolution from making its first pieces on South Bend Lathes to ordering its first new Traubs. He explains his philosophy to make simple yet elegant parts using complex CNC equipment which he hopes will make an impact. You can learn more about DynaVap at www.dynavap.com. Question: Can a solo inventor with a South Bend Lathe still change the world? The recent Kavanaugh spectacle enthralled me as much as any big sports event. It really was the Super Bowl of Senate pillow fights, and I loved it. Now we have another fascinating slugfest shaping up in Federal Court. It’s Harvard, Yale and MIT against the Asian kids and parents who want to break down the admissions barricades. Harvard and buddies in the Ivy League are fighting fiercely to uphold their right to handpick their Freshman class of 2,000 or so students. They want the right make their schools look how they like. Can you blame them? They are their schools, aren’t they? Harvard, Yale and MIT are all private institutions, but they are the place Presidents come from, and Presidents want their kids to go there. It ain’t so easy to tell Barack and Michelle that daughter Malia did not make the cut. How about Ann Arbor instead? Students Protesting Harvard’s Discrimination of Asian Applicants. 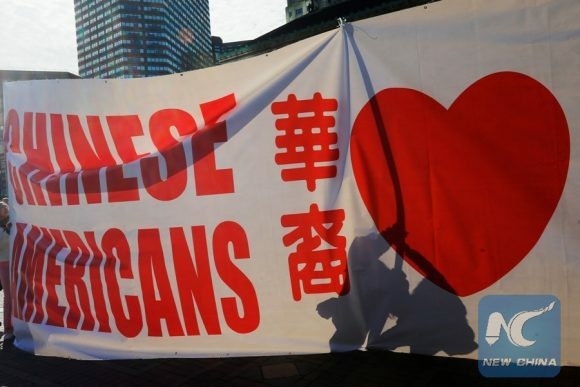 Courtesy of xinhuanet.com. According to some sources many other elite schools have higher average test scores than Harvard because Harvard takes into account other factors besides grades. Harvard took Malia Obama. It accepted George W. Bush to business school, a likable “C” student. Jared Kushner, Donald Trump’s son-in-law, got into Harvard after the Kushner family pledged several million bucks to its endowment fund. Harvard thinks it should be able to take a terrific athlete who is a smart kid but no genius. It wants to be able to take a Mark Zuckerberg, son of a Jewish dentist in New Jersey, because he is a go-getter and has some special qualities. Harvard wants some African American kids in the class, whether they have perfect SAT numbers or not. The school has an almost equal number of female and male students while the national average of women in undergrad universities in 2017 was 56% according to The Atlantic. Is Harvard so wrong about putting together a more gender balanced class with a mix of rich kids, go-getters and jocks? Way back in the day when I applied to college I knew that Northwestern had a Jewish quota, and it annoyed me when they rejected me probably because of my religion. So it hits close to home when Harvard has a big donors slot, an athlete’s category and a “we can’t take too many Chinese and Indian kids policy” with the rationale that we might miss a Zuckerberg or Bill Gates. In California, at an elite school like Caltech, the last Freshman class had 43% Asian students, but who’s counting? They take a more colorblind approach as a public university. There is no perfect system of admission to a college like Harvard. The Crimson reported in March of 2018 that Harvard that accepted 1,962 of 42,749 students for its class of 2022. I really do sympathize with school’s dilemma. How do you turn down a charming, African American President’s daughter even if her test scores were not as high as an Indian kid from Louisville? The even harder question — should they? Malia Obama, with her name and upbringing may have a greater opportunity to change the world and bring positive feedback to Harvard than a kid who will probably become a chemistry professor. The Justice Department is lining up against Harvard, MIT and Yale in this case. Is it correct from a public policy standpoint? I don’t know. That’s why I’m really interested in what you folks think. Should test scores be the primary criterion for admission to the Harvard student body? Does Harvard or a business have the right to discriminate by body type or the quality of a smile? One day Brett Kavanaugh, Yale and Harvard Law Alumnus, may be the deciding vote on the outcome of this case. Question: Should Harvard be able to take the students it wants?